Majeka House welcomes a new tapas-style way of eating. 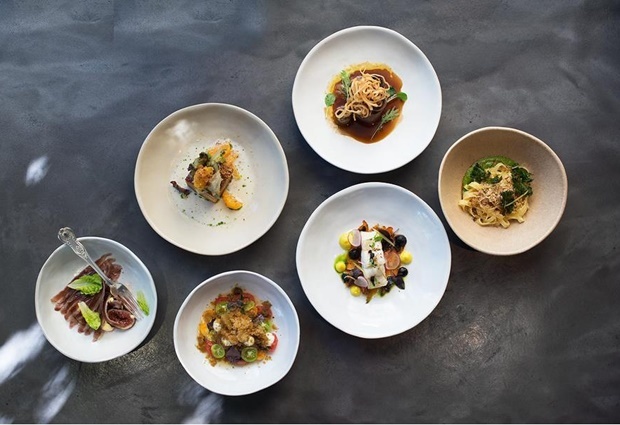 Makaron, the award-winning restaurant at Stellenbosch’s majestic Majeka House & Spa, has just launched its new Small Plates menu. 18 small plates of deliciousness with the menu divided into sections: ‘Suggested Start’, ‘Followed Up By’, ‘The Serious Choice’ and ‘To Finish’, however each guest is able to pick and choose to create their own unique gourmet experience – which makes it great for people with strict dietary requirements that often find it difficult to eat out. It all begins with an amuse bouche of fresh leaves from the Majeka vegetable gardens, tossed in rooibos vinegar and served alongside korrelkonfyt, sourdough and butter. The Chalmar sirloin is also a unique take on a bistro-style staple. Here, Carstens delivers it with a memorable hit of ‘umami butter’, enriched with miso, dried shitake, confit garlic and dried sea lettuce. And then of course, the one dish that Carstens simply couldn’t take off the menu is his much-loved baby marrow risotto. Topped with raw mushrooms and infused with truffle, the secret ingredient is the shavings of cured egg yolk that provide an extra dollop of unctuous richness to the perfectly cooked Arborio rice. Another dish not to be missed is the slivers of house-made duck breast ham. Brined for three days, then cured for up to three weeks, it arrives thinly sliced over baby figs done three ways: fresh, dried and pickled in a red gastrique. Fermenting plays a key role in the new menu, with the team making kombucha, malt vinegars and ginger beer, and although the inspiration may be global, there’s a striking inclusion of homegrown South African flavours and ingredients too. A ‘mielie pap’ croquette with sheba (spicy tomato and onion sauce) brioche kicks things off with the amuse bouche, slivers of suckling pig are given a lift by naartjie notes, while spekboom and buchu are a tip of the hat to the Cape’s rich floral kingdom. 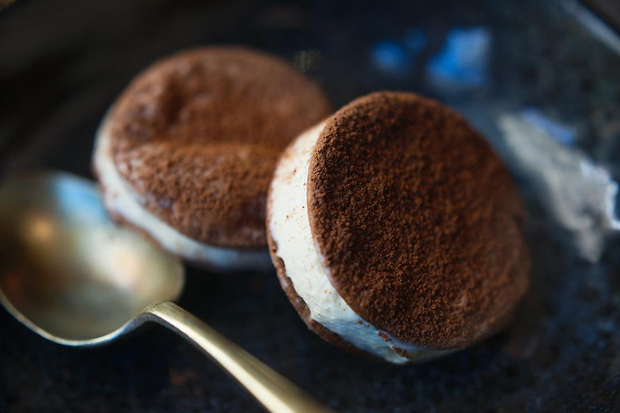 Perhaps the best is left for last though, with an original milk tart recipe from C. Louis Leipoldt providing the inspiration for a playful cinnamon-infused ‘ice cream sandwich’. It’s a perfect example of why Makaron has long been a haven of homegrown hospitality paired with South African-inspired global cuisine. Makeja House is currently running a special Winter promotion for R1420 per person sharing a night which includes breakfast and dinner at Makaron, available from Sunday to Thursday, May to end of August 2017.